On a national food stage, Omaha gets little credit for our vast culinary scene and impact on the food world. However, times they are a changing and this summer has been an amazing journey for the Omaha food community. It seems like a natural progression to have our own restaurant week and luckily for us, it starts September 16. Although restaurant corporations have used the Omaha area for decades as a test market, little is mentioned in the media nationally. This year the food gods answered my prayers and unloaded a wave of attention on the Omaha food and beverage industry. It started with Chef Ludo Lefebvre, a classically trained, five-star French chef finding his way to Omaha on a cross-country tour with his wife; in the Sundance Channel’s new show, “Ludo Bites America.” Even Adam Richman of the Travel Channels “Man v. Food Nation” recently stopped here to tape a food nation challenge. Publications like Travel and Leisure, Food and Wine Magazine, Cooking Light and Food and Network Magazine are giving major nods to Omaha. Nevertheless, there the Metro is missing too many food areas to be considered a serious food city. Food trucks, supper clubs, distinguished cocktail programs, to name just a few; but now we do have our own restaurant week. Several companies are joining the Food Bank for the Heartland to launch the first Omaha Restaurant Week, September 16-25. The event mirrors similar, successful restaurant weeks in metropolitan areas such as Kansas City, Chicago and Denver. Urban Events, producer of the annual Omaha Riverfront Wine Festival and Omaha Beer Fest, organized Omaha Restaurant Week. Omaha Restaurant Week is a 10-day celebration of the unique, exciting culinary scene in the Omaha metro. Participating restaurants will offer a multi-course dinner for the fixed price of $19 or $29 (not including tax and gratuity). Patrons can then select from appetizers, entrées and desserts from the special multi-course menu that is unique to each restaurant. The best part: Coupons or tickets aren’t needed. Reservations are not required, but highly recommended. The regular menu is also offered during the promotion and not everyone has to order the prix fixe menu either. Visit the restaurant profile page to view participating restaurants and arrange for your party to enjoy. Participating restaurants can add photos, maps, chef bios and other information through the Omaha Restaurant Week website. Some radio stations will participate in dining, chef interviews, blogging and promoting the event on-air. Super hits 99.9, News Radio 110 KFAB, Kat 103.7, Twister 93.3 and The Brew 96.1 will participate as sponsors. So get some friends, make reservations and check off those restaurants on your dining wish list. 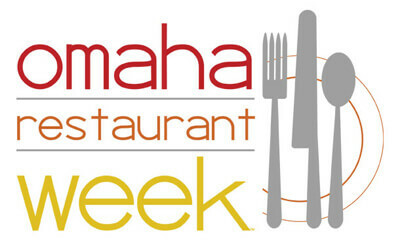 Support local restaurants and enjoy Omaha’s first-ever restaurant week.